Storage in a home used to mean big plastic bins and boxes piled in closets and stashed under beds, but with today’s fun and fancy storage options, an organized space with great light fixtures can be shown off instead. With an endless range of handy as well as stylish tools, containers, built-ins, and more, fun and fancy storage is easy to come by – as evidenced with these eight chic spaces. This closet could be a main room in a house, with its smart compartments and cubbies, full-length mirror, and bureau. The inset ceiling lights are subtle but do their job beautifully. An excess of dishware can make a dining room or kitchen feel overcrowded, which is why having a convenient butler’s pantry is so useful. 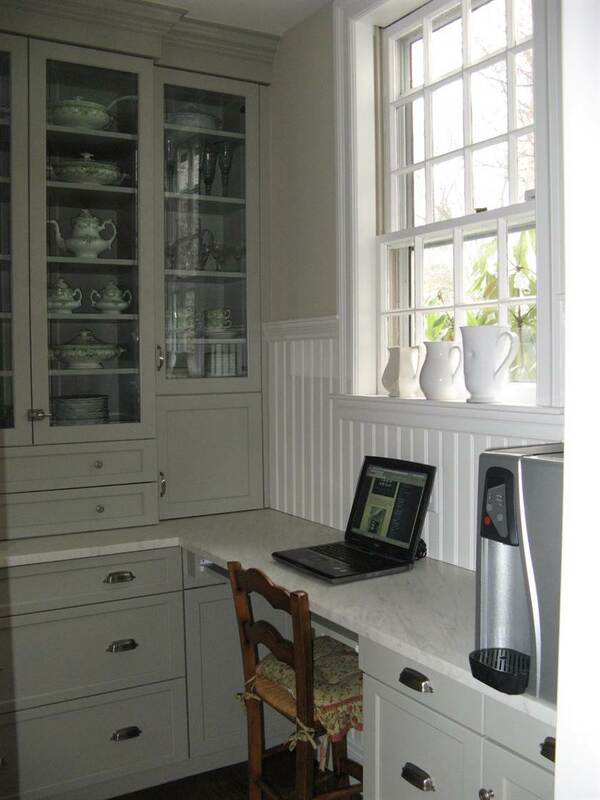 Here, this space pulls double-duty as a home office as well as storage space for unsightly appliances like a coffee machine. 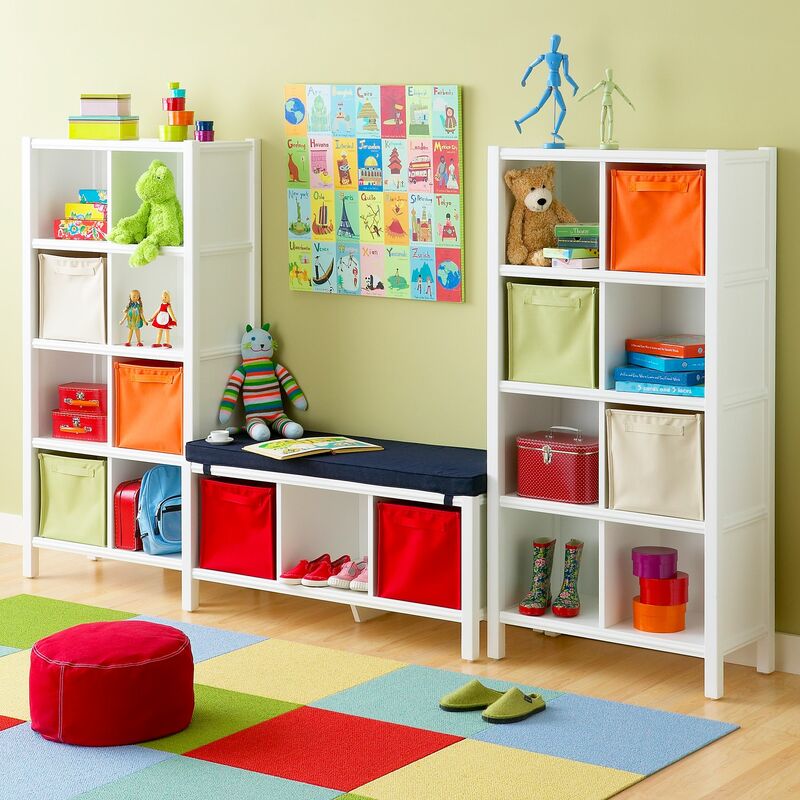 Fun and fancy storage is easy in a kid’s room, where vibrant bins and baskets can be mixed and matched. This unit not only houses toys but contains a bench and spots for boots or shoes. 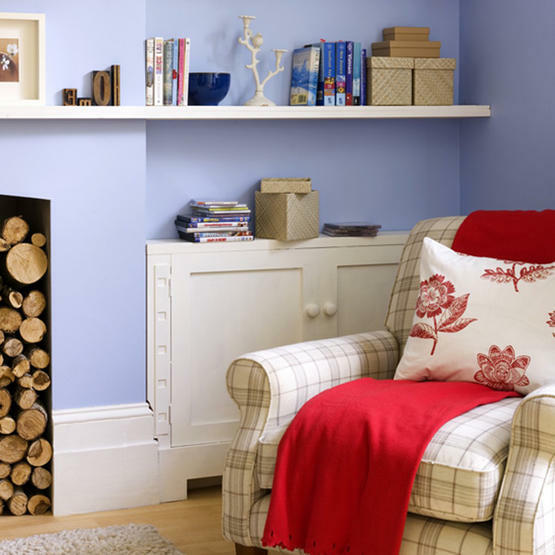 A vignette in a casual den becomes a handy spot for a myriad of storage, from the built-in wood holder for the fireplace to a narrow custom-made cabinet and shelf that fits this nook perfectly. A dining room is the perfect place to display gorgeous Chinaware in a stunning armoire, which is both an elegant asset to the space as well as functional in that it holds ample items. The inset light fixtures draw attention to each piece of furniture. A kitchen always requires a variety of storage options, and here, a magnet board is used to hold important lists and reminders, while matching mini canisters of spices and boxes of tea create a seamless look. 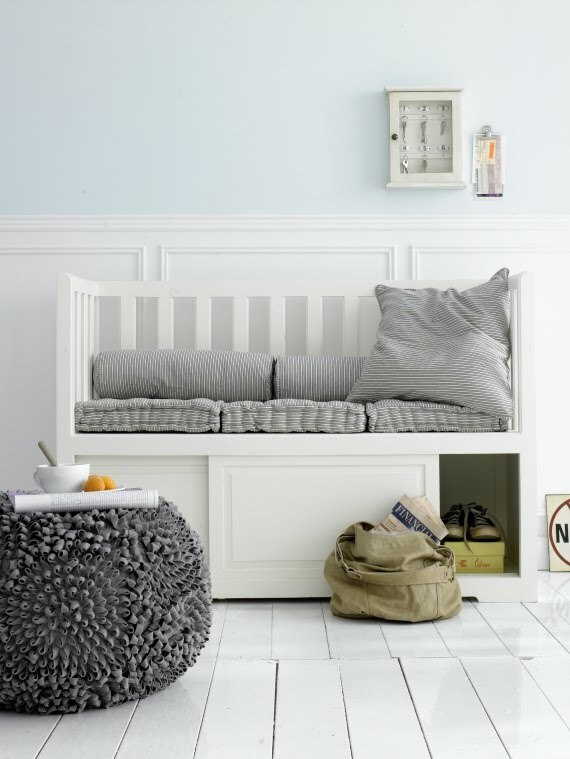 Fun and fancy storage options are benches with built-in compartments, like this hallway gem, which has sliding doors underneath for footwear, winter accessories, and more. Shelving doesn’t have to be relegated to straight lines – this boxy contemporary design becomes the focal point of the room, while a hanging ceiling light highlights the earthen ware on the dining room table. Keeping your belongings neat and organized doesn’t mean you have to sacrifice style when following these creative storage options, thanks to Arcadian Lighting. Discover more design ideas and brilliant lighting fixture solutions by visiting their website today! This entry was posted in Design by Shira Abel Shvo. Bookmark the permalink.